What is the HardyVal Low Complexity Kit? 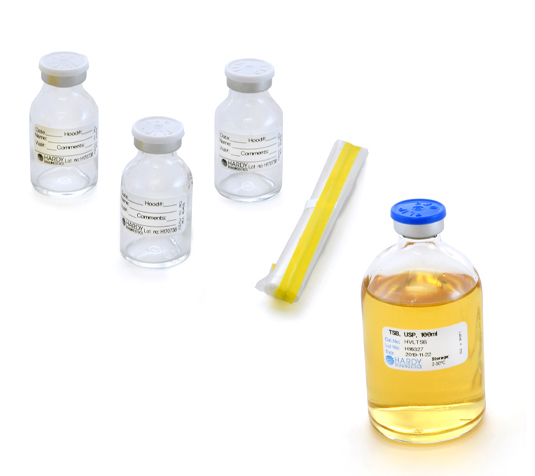 The Low Complexity Kit by Hardy Diagnostics is recommended for simulating typical low-risk compounding manipulations and verifying aseptic technique. Kit performs one complete aseptic technique verification challenge test for one technician. Includes test results log sheet. 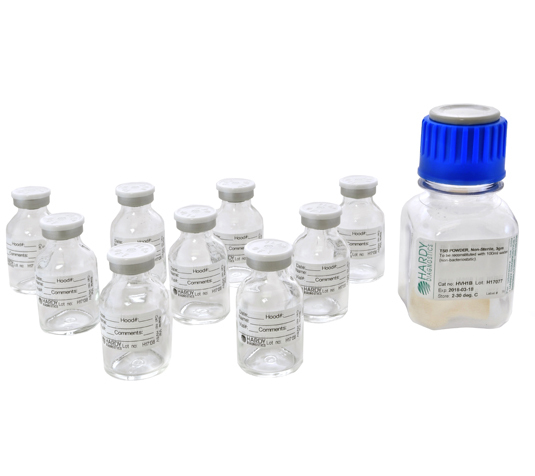 The product is quality control tested for growth promotion, pH, and sterility. What is HardyVal Medium Complexity Kit- Basic? 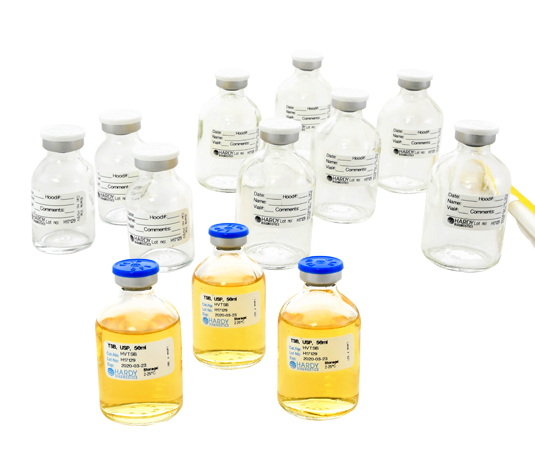 The Medium Complexity Level Kit- Basic by Hardy Diagnostics is recommended for simulating medium risk level compounding manipulations and verification of aseptic transfer techniques of multiple solutions. Kit performs one complete aseptic technique verification challenge test for one technician. Includes test results log sheet. The product is quality control tested for growth promotion, pH, and sterility. What is the HardyVal Medium Complexity Kit- Comprehensive? 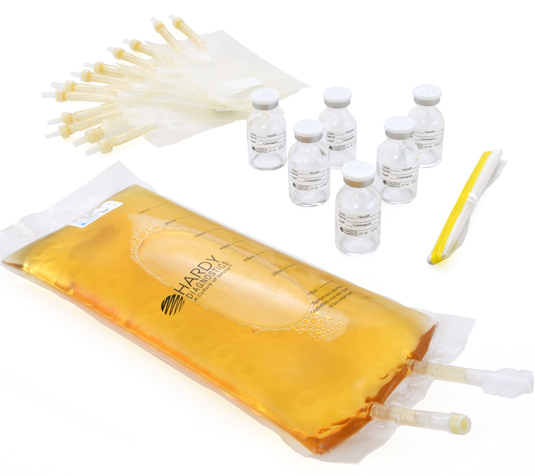 Hardy Diagnostics Medium Complexity Level Kit-Comprehensive is recommended for simulating medium risk level compounding manipulations involving the preparation of IV Bags and verifying aseptic technique. Kit performs one complete aseptic technique verification challenge test for one technician. Includes test results log sheet. The product is quality control tested for growth promotion, pH, and sterility. What is the HardyVal High Complexity Kit? 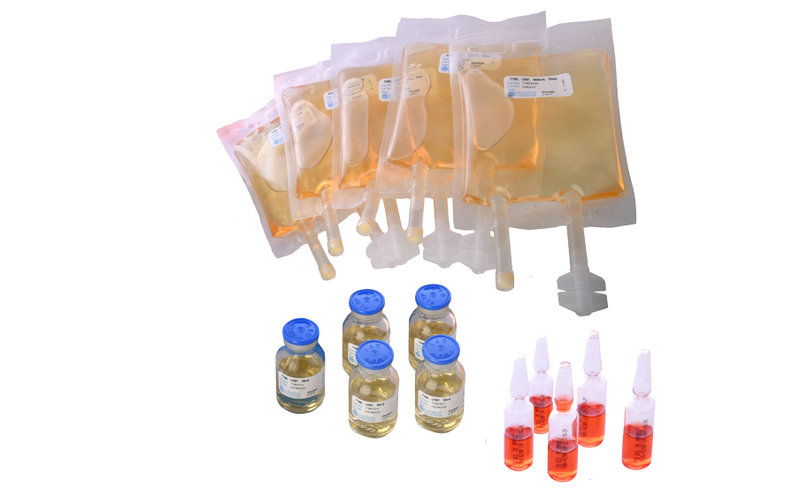 The High Complexity Level Kit by Hardy Diagnostics is recommended for simulating high-risk level compounding manipulations and verification of aseptic techniques of non-sterile to sterile solutions. Kit performs one complete aseptic technique verification challenge test for one technician. Includes test results log sheet. Product is quality control tested for growth promotion and pH. 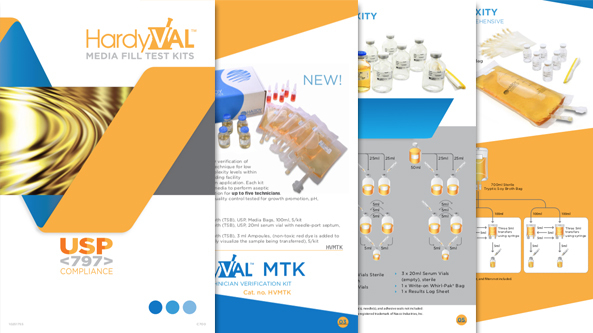 What is the HardyVal Multiple Technician Verification Kit?